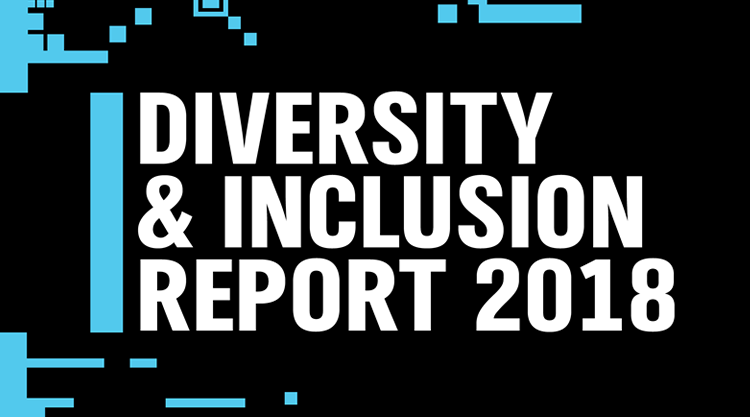 Today, PubMatic released our 2018 Diversity & Inclusion Report highlighting our diversity “numbers” across several key measurements as of December 31, 2017. While these metrics serve to set the scene for our employee narrative, they only represent a fraction of our talent story. 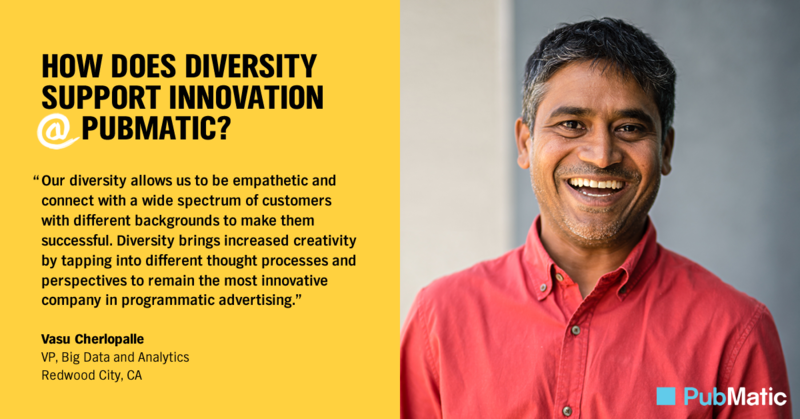 In this year’s report, we made the conscious decision to get more personal by including some of the faces and voices that are representative of diversity at PubMatic. Our approach to increasing diversity starts by championing our internal stories and highlighting the continued investment we have made in the diverse talent that already exists. When reaching out to gather some of these unique stories, I was struck by how eager employees were to express their feelings regarding how their differences were celebrated and nurtured at PubMatic. In an industry as dynamic as ours, it is easy to get so caught up in the day-to-day demands and deliverables that we lose sight of the larger employee experience. However, this report allowed us to reflect on what makes PubMatic a great place to work and the people who contribute to the experience. Whether it is a manager who has helped shape someone’s career, the co-worker who never fails to recognize team contributions, or the leadership that challenges everyone to be better, each employee contributes to the positive and diverse culture at PubMatic. One key take-away from this year’s report was we have promoted significantly more females from within than in previous years. 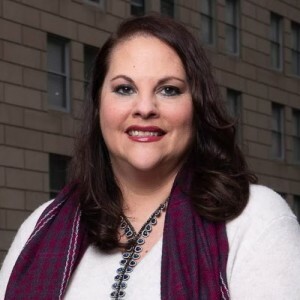 This is indicative of the considerable effort we have put into training and career development, ensuring that women have the skills they need to rise within the organization. 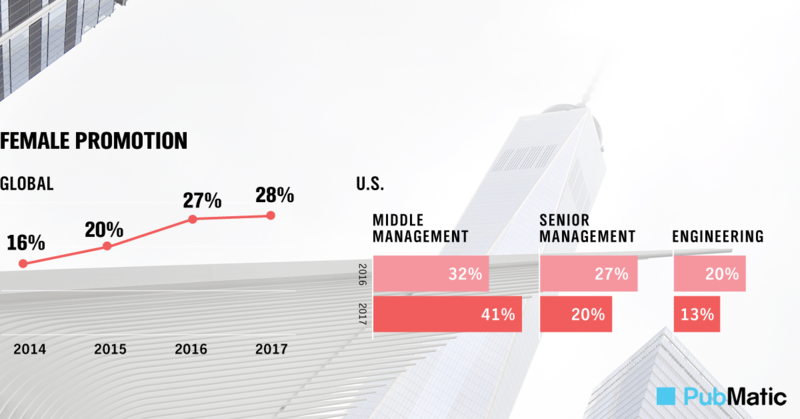 It is a combination of this upward mobility as well as our commitment to equal pay that has enabled us to retain our female talent for longer periods of time. We feel it is just as critical to hold on to your role models and mentors as it is to hire new female employees. However, 2017 was not without its challenges as the overall percentage of female employees at PubMatic dipped slightly and we were not able to hire new female talent at the rates we had hoped. Our response to this has been to create purposeful education programs for females, to hire more female interns and create a more robust pipeline of junior level employees. As with other years, an important focus was investing in more ethnic diversity in our workforce. 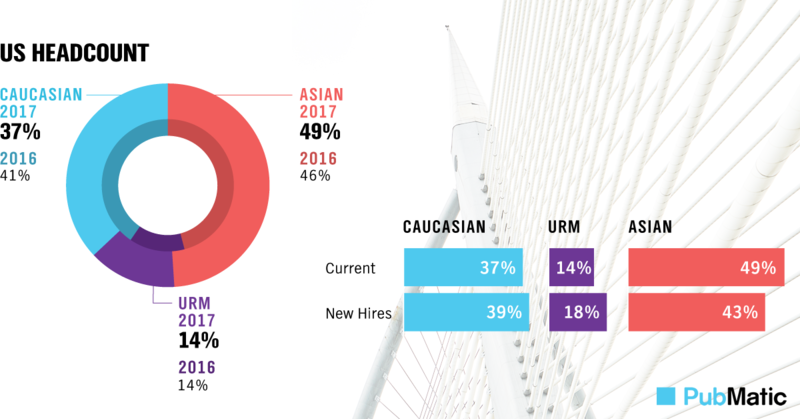 Over the past year, we increased the number of Asian employees in the US by 6 percent; however, our overall percentage of Underrepresented Minorities (URM) remained flat from the year before. Our company response to having a culture that would attract more URMs has been to champion the employee value proposition and look for ways to promote current roles to a more diverse applicant pool. As we move forward to nurture the existing diversity and improve inclusiveness of the differences among us, we will be supplementing our existing culture strategy with programs to attract and retain a company of unique individuals. We want to continue growing by sharing the excellent aspects of our existing company culture to applicants and continuing to invest in a positive experience for our current employees. PubMatic is passionate about our people and we are looking for new team members to grow our global workforce. To learn about available opportunities, make sure to check out our Career Page and to read the full report, make sure to download it today.